No matter where students' lives lead after graduation, one of the most essential tools we can teach them is how to comprehend, analyze, and respond to arguments. Students need to know how writers' and speakers' choices are shaped by elements of the rhetorical situation, including audience, occasion, and purpose. 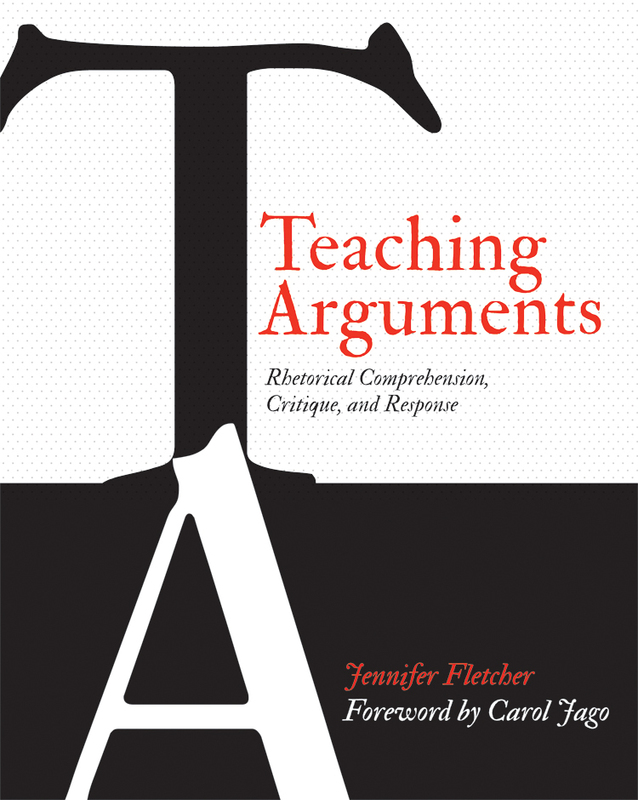 In Teaching Arguments, Jennifer Fletcher provides teachers with engaging classroom activities, writing prompts, graphic organizers, and student samples to help students at all levels read, write, listen, speak, and think rhetorically. Jennifer believes that, with appropriate scaffolding and encouragement, all students can learn a rhetorical approach to argument and gain access to rigorous academic content. Teaching Arguments opens the door and helps them pay closer attention to the acts of meaning around them, to notice persuasive strategies that might not be apparent at first glance. When we analyze and develop arguments, we have to consider more than just the printed words on the page. We have to evaluate multiple perspectives; the tension between belief and doubt; the interplay of reason, character, and emotion; the dynamics of occasion, audience, and purpose; and how our own identities shape what we read and write. Rhetoric teaches us how to do these things. 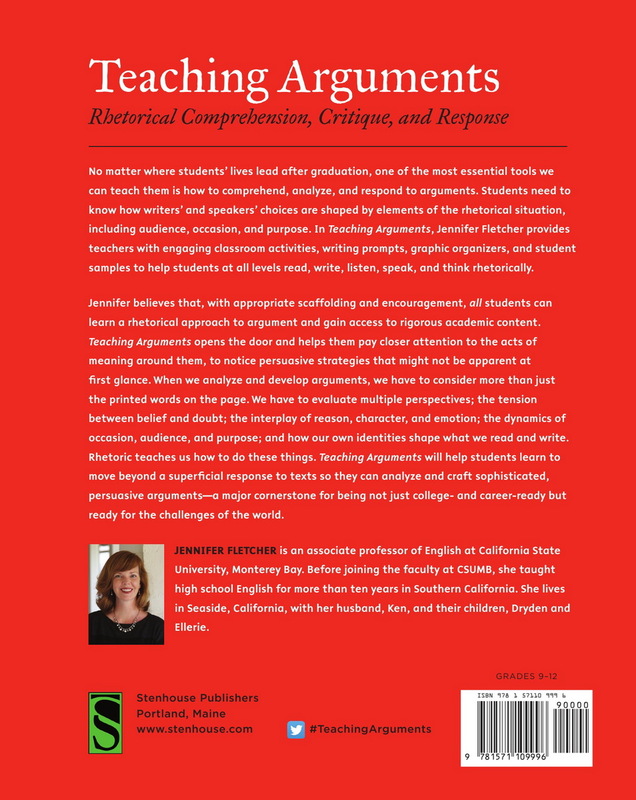 Teaching Arguments will help students learn to move beyond a superficial response to texts so they can analyze and craft sophisticated, persuasive arguments—a major cornerstone for being not just college- and career-ready but ready for the challenges of the world. Teaching Arguments will assist teachers in helping students learn to write deeper and more sophisticated responses to texts. The end result is that students will craft more persuasive arguments time and time again about issues that are personally relevant and rewarding to them.